Heritage Hotels of Europe 2018 awards were announced on November 18th during an elegant celebration hosted by the 5-star castle hotel Château Bela, Slovakia. Prónay Castle of Alsópetény won the “Host of the year” award, one of the seven categories, which means that it is among the bests of Europe. Read more HERE. According to Budapest Airport, the construction of a six-level multi-storey car park (MSCP) was ceremoniously started in front of Terminal 2 of Budapest Ferenc Liszt International Airport. In the area closed to the public since 1 October, a multifunctional car park building accommodating 2500 vehicles is to be erected. After the handover, drivers and their passengers will be able to walk over directly to the terminal. Read more HERE. 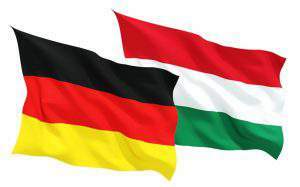 Moody’s Investors Service affirmed Hungary’s Baa3 ratings with a stable outlook in a scheduled review. Moody’s said robust growth, Hungarian authorities’ continued commitment to gradual fiscal consolidation, and “overall supportive institutional capacity” were the key drivers behind the rating action. Read more HERE. 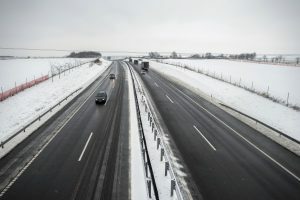 Austrian automotive industry company AVL will build a 12.5 billion forints R+D base in Érd, on the outskirts of Budapest, Foreign Minister Péter Szijjártó said. 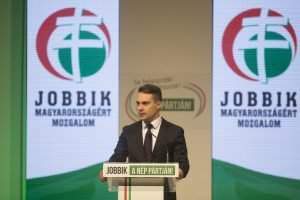 The investment, which will create 350 jobs, including 250 engineering positions, is supported with a 3 billion forints government grant. Read more HERE. India’s Flex Films, which makes flexible plastic packaging, will build a 23 billion forints (EUR 70.8m) plant in Retsag, northern Hungary, it was announced. The government is awarding Flex Films a 2.8 billion forints grant for the investment which will create 170 jobs. Read more HERE. The Organisation for Economic Co-operation and Development (OECD) raised GDP growth forecasts for Hungary in the November edition of its Economic Outlook. The OECD raised the forecast for this year to 4.6 percent from 4.4 percent in the previous Economic Outlook released in May. It raised the forecast for next year’s growth to 3.9 percent from 3.6 percent. 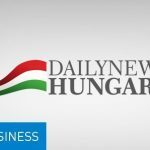 The average gross wage in Hungary rose by an annual 10.4 percent to 322,752 forints (EUR 944.4) in September, the Central Statistical Office (KSH) said. Net wages grew at the same pace as gross wages, also climbing 10.4 percent to 214,630 forints. PreviousConcerts, free VR-experience, film festival – must-visit programmes in Hungary this week!